The Abel Sealed Drag 5/6 wields a fully sealed, proprietary Rulon machined composite stacked discs drag system of which the toughest salt conditions and dirt/grime from heavy freshwater fishing cannot penetrate. Meaning no corrosion and no failures. 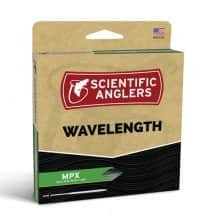 The Sealed Drag 5/6 is designed for 5 – 6 wt rods with with an ultra smooth drag, and virtually no startup inertia to protect the lightest tippets but still capable of stopping powerful game fish.